The US and China have for the past three months been locked in discussions about how to overcome a trade dispute that has slowed Chinese economic growth and seen the US-China trade balance slump to a record low last year. Last month, Chinese imports from the US fell almost 20% compared to January, while its exports to the US fell 14.1%, indicating that the trade war is starting to bite almost a year on from when it started. Over the weekend, Chinese officials from the ministry of commerce told journalists at an annual press conference they were working “day and night” to reach an agreement that would “remove all the tariffs imposed on each other” so that normal trade relations can resume. So far much of the focus of the US administration has been on the so-called structural issues of intellectual property theft and an enforcement provision that China has refused to accept. The main thrust from the US is how to address a trade balance with China that has ballooned from $268 billion a decade ago to a record $420 billion last year. Bloomberg News last month reported China had pledged to buy an additional $30 billion worth of agricultural goods in an attempt to make a dent in to the trade balance and smooth the way for a trade deal. The following is a factbox on what could be on China’s shopping list. Soybeans is the jewel in the crown of US agricultural exports to China, although they have collapsed last year after China slapped a hefty 25% import tariff on US beans as part of the trade war. Of $17 billion worth of US soybeans sold last year, China took just $3.1 billion, indicating that there is plenty of scope for this to increase by at least $10 billion to ensure exports returned to more historical 2016-2017 levels. Any purchase above this would likely have to be done economically and come at the expense of Brazil – China’s biggest agricultural trading partner. The US has long since stopped being the marginal supplier of wheat to the world – losing that accolade to Russia. Last year, the US exported $5.4 billion worth of wheat and just $100 million, or 400,000 mt, of that went to China, although that was particularly low last year. US wheat sales to China have averaged around 1.5 million mt over the last five years. If rumours that China could up that to as much as 7 million mt per prove correct, it would mean almost doubling its annual wheat imports but would still only make a $1.5bn dent in the trade deficit. The US is a huge exporter of corn, selling 70 million mt or $12.5 billion of the grain on to the international markets last year. However, China – itself a massive corn producer – has picked up just $50 million worth of that, raising expectations in the US that corn could be a big beneficiary of any trade deal. However, ethanol and the animal feed Distiller’s grains (DDGS) would make for a more logical export target. The US exports around $2.7 billion (6.5 billion litres) of ethanol each year with about 3% of that going to China. It also exports around 12 million mt of DDGS each year worth around $2.5 billion. In 2016 China took around 20% of that volume, but that has since collapsed to just 2%. Ethanol probably makes the biggest sense, given China’s domestic target to blend 10% of the nation’s surging fuel demand with the alcohol. While DDGS demand is likely to suffer in the wake of the African swine fever outbreak, China’s US ethanol imports have numbered over 200 million gallons in the past, a figure that could only increase as the E10 programme is rolled out more widely. However, with China also intent on building its own domestic ethanol production capacity, any trade solution that includes ethanol exports could provide a short term fix and a longer term flashpoint. The US exported around 4 million mt of sorghum, worth around $836 million last year and China took around 60% of this volume. But the US has the potential to export double this volume. In 2016, it exported 6.9 million mt worth $1.4 billion. US exports of beef, pork and chicken totalled $18.2 billion last year, with beef accounting for $8 billion, pork $6 billion and chicken at $4.2 billion. Of this, about $1.1 billion worth was exported to China, with beef exports amounting to $80 million, pork about $600 million and chicken $420 million. However, with the ongoing outbreak of swine fever in China slashing the size of the hog herd there, most observers see a trade deal potentially triggering a huge rise in meat exports. Sources in Spain and the US have already confirmed that Chinese buyers have been scoping the European and US market out for more pork imports as most analysts expect pork prices to soar in Q4. Last week, Chinese forecasters JCI said they expected the size of the hog herd to fall by at least 10% – at least 40 million pigs, due to the infectious disease. 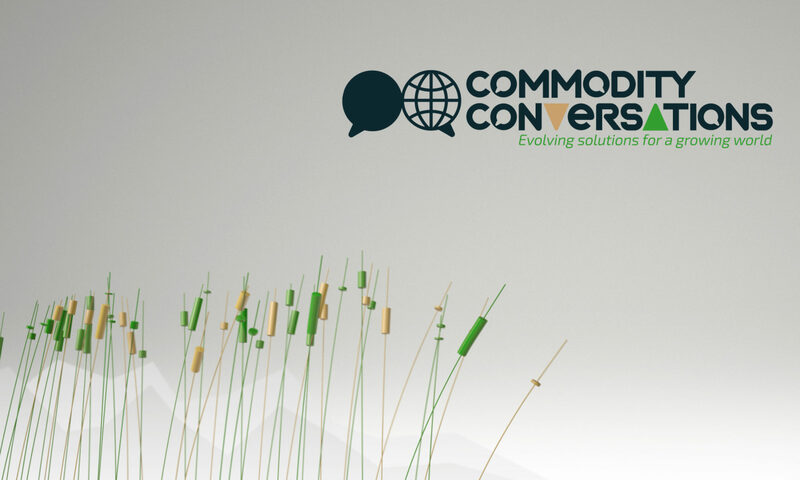 Commodity Conversation is proud to introduce a new weekly contributor: AgriCensus, a Price Reporting Agency (PRA) specialising in providing market moving news and benchmark prices for the bulk agriculture markets.